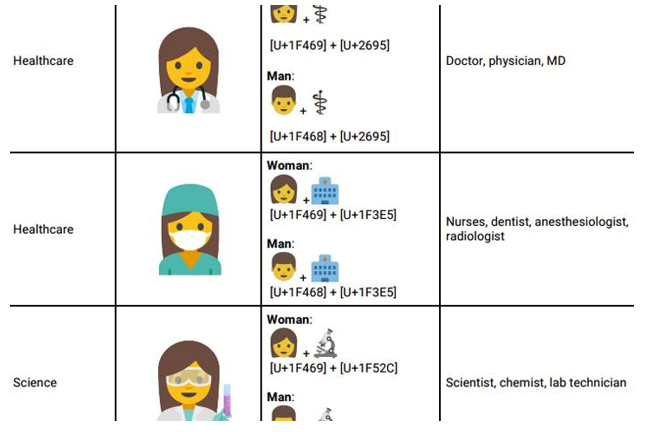 In a proposal to the Unicode Consortium, which controls specifications for emojis, Google says it wants to create a new set “with a goal of highlighting the diversity of women’s careers and empowering girls everywhere.” The proposal says women – and those under 30 in particular – are the most frequent users of emojis. 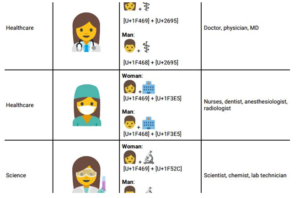 Sample emojis provided by Google in the proposal show several female characters in professional clothing, including business suits, lab coats, medical scrubs and construction hats. One sample emoji even has a pitchfork and a farmer’s hat. 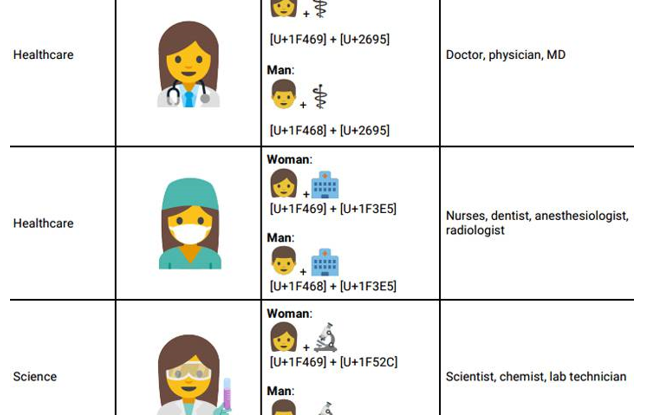 Google has also included sample male versions of the same emojis. 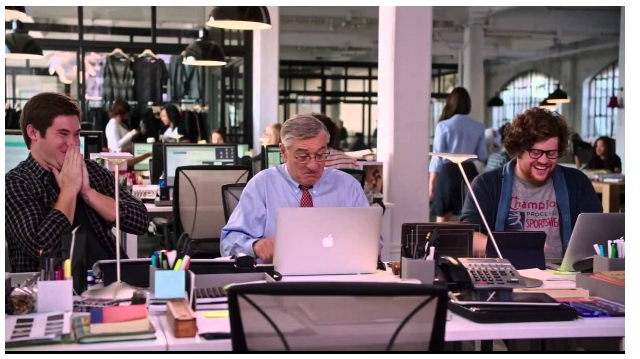 Mountain View, California-based Google wants Unicode to standardize the emojis by the end of the year.